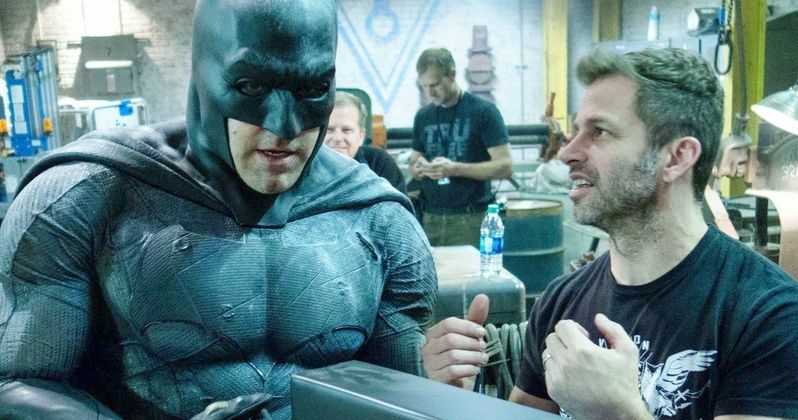 Zack Snyder has defended his very murdery version of Batman. It's been talked about to the point of exhaustion and then some at this point, but Batman v Superman: Dawn of Justice was a true turning point for the on-screen DC movie universe as we know it. The divisive response caused Warner Bros. to get cold feet with Snyder's version of Justice League, which would ultimately lead to big changes on Aquaman and Shazam which, so far, have proved to be quite successful. Still, Snyder feels those who don't like their Batman as a cold-blooded killer need to "wake the f*** up." Recently, the filmmaker decided to host a charity event where he screened three of his director's cuts and then held a Q&A afterward. The ultimate cut of Batman v Superman: Dawn of Justice was shown, which many fans feel is better, whereas detractors might just tell you that it's longer and still has that "Martha" scene in it, so why bother? In any event, Zack Snyder addressed Ben Affleck's super kill-happy Batman in an F-bomb filled rant. Here's what he had to say about it. "Someone says to me: [Ben Affleck's] Batman killed a guy. I'm like, 'F***, really? Wake the f*** up.' I guess that's what I'm saying. Once you've lost your virginity to this f*****g movie and then you come and say to me something about like 'my superhero wouldn't do that.' I'm like 'Are you serious?' I'm like down the f*****g road on that. It's a cool point of view to be like 'my heroes are still innocent. My heroes didn't f*****g lie to America. My heroes didn't embezzle money from their corporations. My heroes didn't f*****g commit any atrocities.' That's cool. But you're living in a f*****g dream world." Let that all sink in for a second. It's no secret that Zack Snyder had a vision for the DCEU that was substantially darker than something like Aquaman turned out to be. This really lays it all out there nice and plain though in a way we haven't really heard previously. And Batfleck's sheer willingness to kill as a first option was a huge sticking point for fans. Understandably so. While it wouldn't be fair to say the character has never killed in the comics, it would be fair to say that his serious aversion to it is a defining characteristic. It's largely what helps to separate him from those he fights. Snyder also went on to compare his movie to Alan Moore's Watchmen, which he also adapted into a movie, in a pretty, let's say interesting way. "Mythologically speaking, I'm 100 percent fine, and I love more than anything Superman and Batman. But in the same way that Alan Moore was fed up with the f*****g like, 'Okay, no. They do this.' Clearly, this is a response. Watchmen talks about comic books in the same way this movie talks about comic book movies." No matter how one feels about the DC movies of one Mr. Zack Snyder, the only real, appropriate response to all of that is, "Wow." What is behind that wow will largely rely on the individual's point of view. But still, some truly stunning insight into how this man views superheroes. This news comes to us from Reddit.